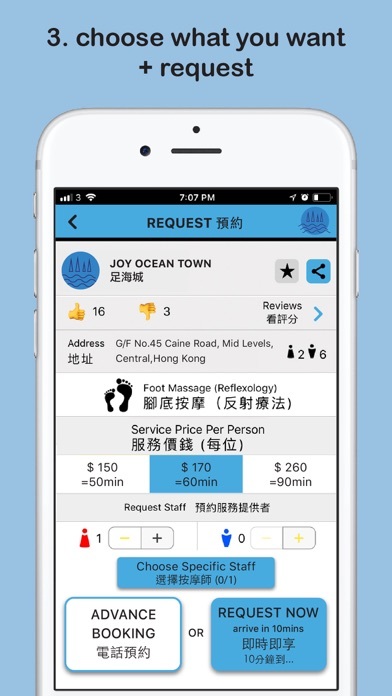 Joy Ocean town Foot Massage is base in Caine road and Old Bailey Street in Central with reasonable prices, professional service and a comfortable environment. 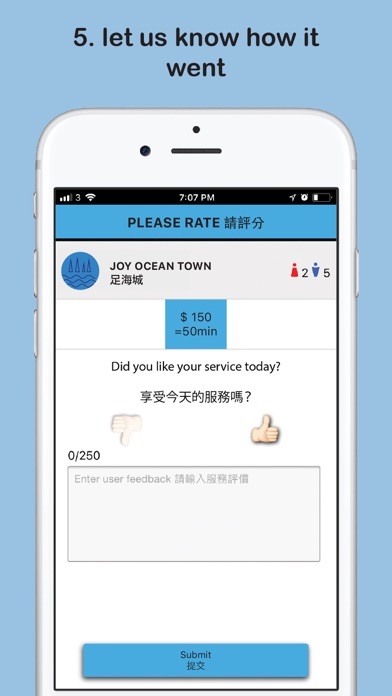 Joy Ocean Town massage app allows you to request services in the realtime "NOW", you can request a Foot massage, Oil body massage, Pressure point body massage or other services at an instant. 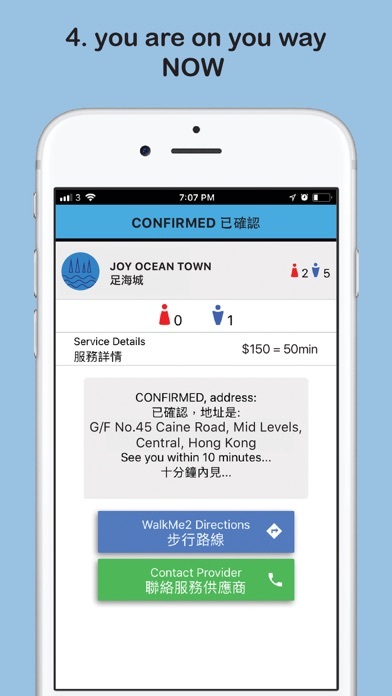 Simple to use - Choose the service you like, select the centre closest to you, select a specific therapist, all the prices are shown in the app, using a few simple taps you are ready to go and enjoy !